When you and your family decide to conduct a remodeling project, it is highly beneficial for you to hire a professional for help. At Allpro Contracting, our Westmont remodeling contractors are ready and eager to assist you. We have the knowledge, skill, and experience necessary to achieve all of your property improvement goals. In every service that we provide, our team places customer satisfaction as our highest priority. Whether we’re completing a whole house renovation or constructing concrete patios in Westmont, our company is dedicated to providing top quality services and results to our clients. Call Allpro Contracting today if you need to hire a professionally licensed remodeling contractor in Westmont, IL. Our courteous and polite staff would be happy to take your call and to assist you in any way that we can. We are adept at both interior and exterior remodeling services. Our experts would be glad to answer any of your questions. We can schedule your appointment today. Your driveways and walkways are absolutely critical to how you and your family use and enjoy your home. If you want to vastly improve the beauty and functionality of your residence, you should consider constructing a customized stamped concrete driveway or patio around your residence. At Allpro Contracting, our Westmont exterior remodeling contractors are here to assist you with this effort. When you hire us for your hardscaping needs, there is no limit to what you can accomplish. Our professionals will personally inspect your property in order to help you design the most functional walkway, patio, or driveway possible. You are guaranteed to be pleased with the results for years to come. The roof and siding of your Westmont home is critical to the comfort and security that you and your family enjoy within your property. If your roofing or siding is damaged, the rest of your residence becomes susceptible to harm. It is important to contact a professional at the first sign of a roof leak. Our Westmont exterior remodeling contractors specialize in roof and siding installations and repairs. With our assistance, your property will always look its best and will have the highest level of protection. 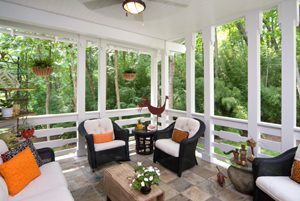 If you want to get the fullest enjoyment of your outdoor spaces, you should construct a custom wood deck in your yard. Our Westmont exterior remodeling contractors would be happy to assist you with the effort. We can help you design and construct a deck that will be perfectly customized to the unique ways in which you and your family will use the new area. It will be great for relaxing and enjoying the weather. Your deck will be fantastic for entertaining guests and friends. If you are looking for a professional Westmont remodeling contractor for patios, driveways or other interior and exterior services, then please call 708-658-3500 or complete our online request form.